We'll call you to set up your combination for you. Have questions? Please Call 818-899-2222 for help! 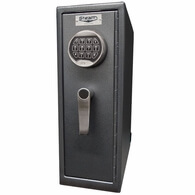 Don't underestimate the Mini Safe's size, this safe is still a tank! 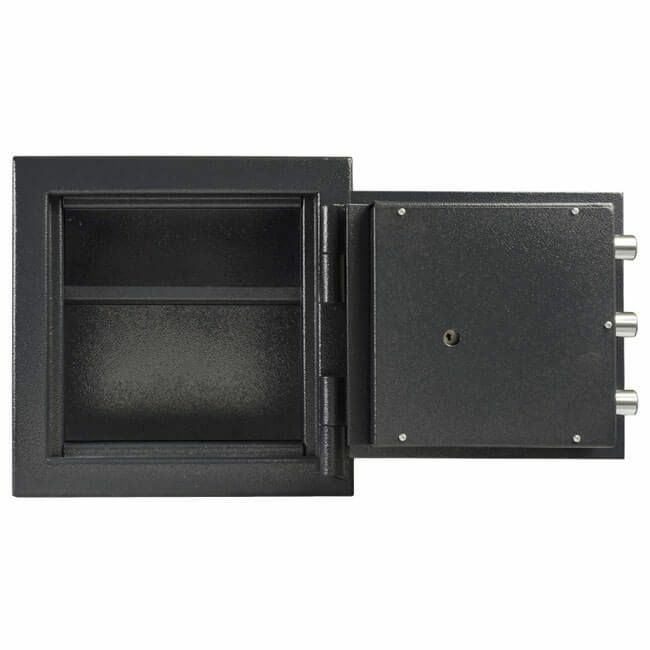 Constructed with a 1/2" solid steel plate door, the AMSEC MS1414 is a burglars worst nightmare. 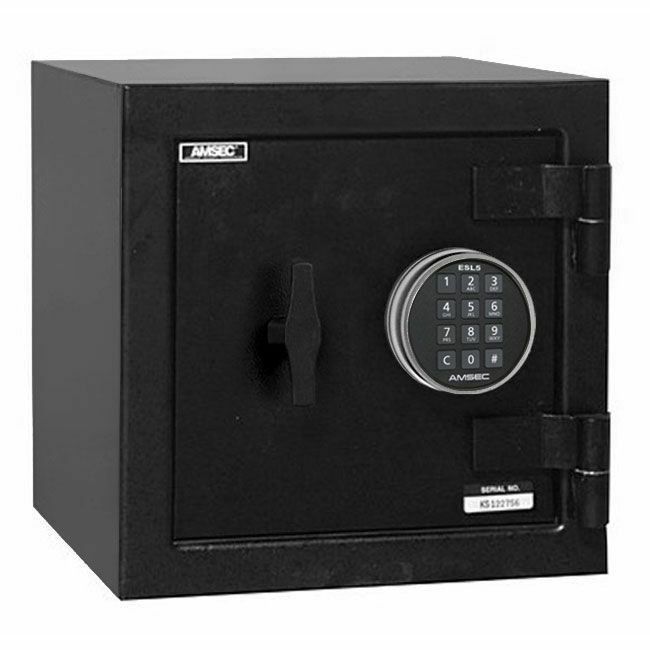 In terms of security, the Mini Safe is classified as "B" Rate Construction with its 1/2" plate door, three 1" solid steel locking bolts, bolt detent system, large carburized hardplate and relocking device. 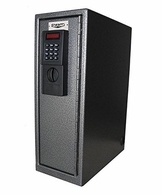 On the door lies AMSEC's ESL5 Electronic lock that is highly reliable and super easy to program. 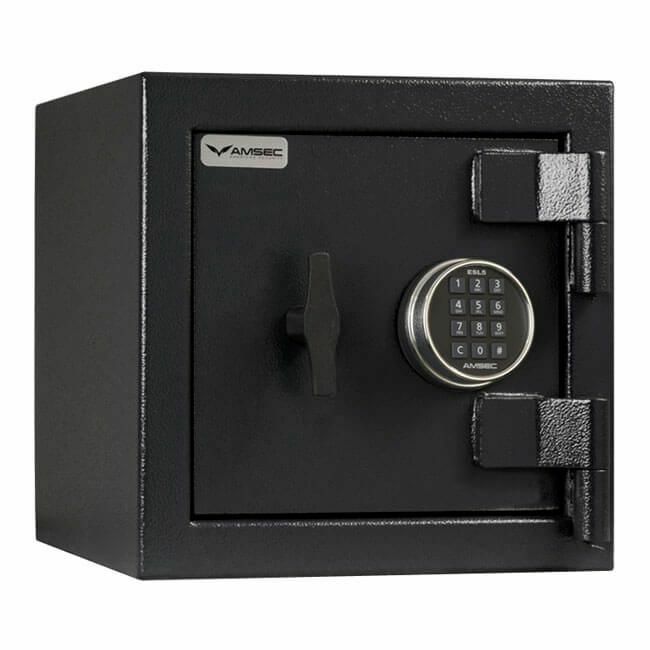 This safe normally comes with a mechanical lock, however we upgraded it to a high security electronic lock at no additional cost! 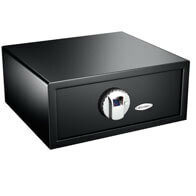 Since this safe is so small, a burglar would prefer to just pick it up and open it on their own time. AMSEC made sure to include four anchor bolt holes so you can secure the safe, ensuring it doesn't get picked up and walked off. 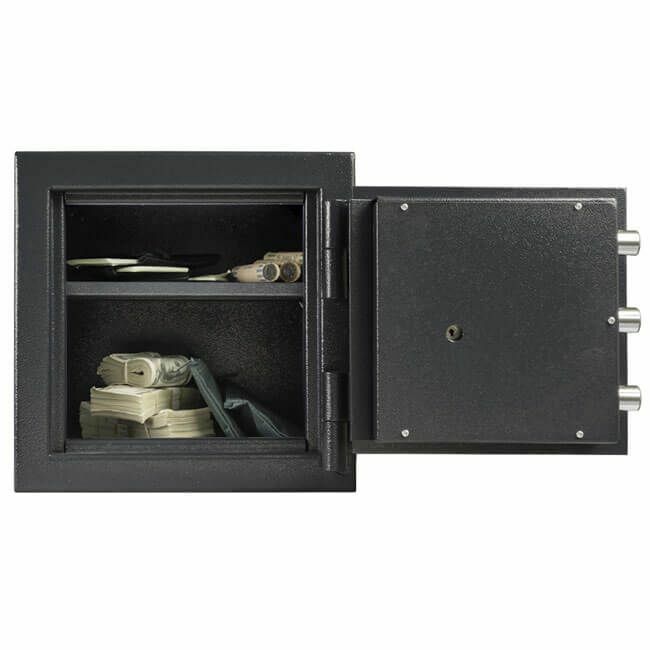 The interior features an adjustable shelf allowing you to customize the safe to your specific organizational needs. Backed by AMSEC's 1 year limited warranty, the MS1414 is perfect for home or commercial use. 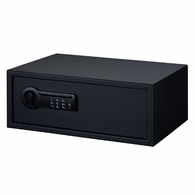 ▪ Barska Dorm Safe Opens with a Fingerprint! Barska Dorm Safe Opens with a Fingerprint!